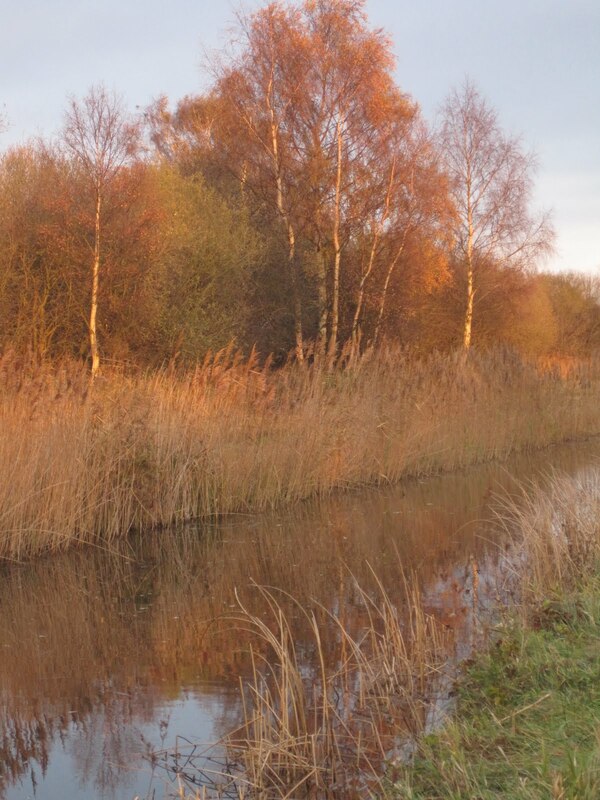 Some of you may remember my visit to Wicken Fen last year. 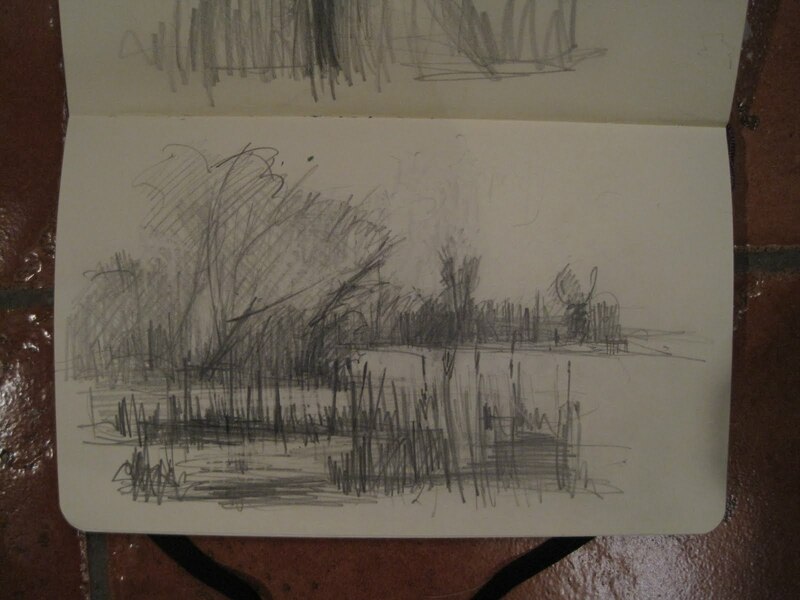 On my way to London, via Cambridge, I visited Wicken Fen again, did a very quick and frozen sketch, took a lot of photos as the sun came down then drove to my friend’s house in Cambridge. I am now in London having rather a lot of fun with my girls and friends and probably eating and drinking too much! However, yesterday Holly and I did get to indulge in some lovely culture by visiting the wonderful Gauguin exhibition at the Tate Modern. This was taken from East Mere Hide. I was looking for good painting spots and this would be a great place, but unfortunately the only access was from the hide which has only narrow viewing places designed for the bird watchers. Here is proof of serious dedication because I can assure you I was absolutely frozen and the wind felt as if it was coming straight from the arctic! Refreshing though! The frozen and sketchy result! 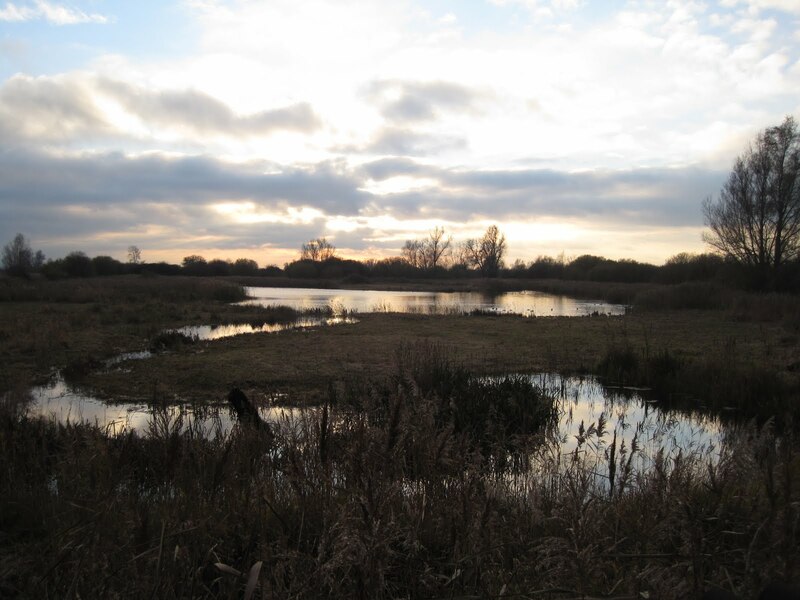 Posted on November 28, 2010 May 23, 2014 by lynnewindsor	This entry was posted in Cambridge, Deborah Paris, Gauguin, Wicken Fen. Bookmark the permalink. What a beautiful spot Lynne! No snow? It really is Deborah! I didn't have a lot of time, but got some good photos. No snow so far, but I am south of London now, but about to embark on my journey back up north east, so fingers crossed! PS… thanks Deborah for crediting me in Loriann's interview! Such a beautiful spot, Lynne. Your dedication is truly inspiring. And thank you for including photos of your sketch book…I love seeing them. The name is compelling on it's own and the photos are beautiful. 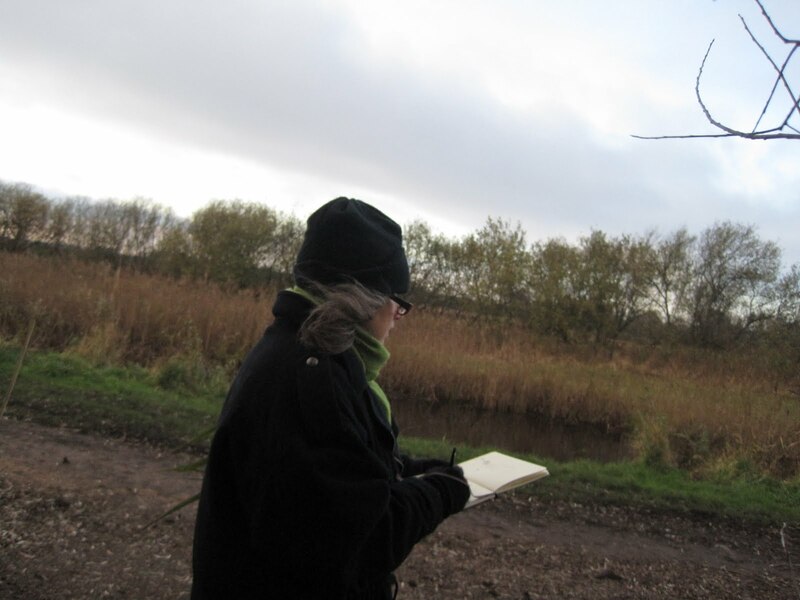 Impressive fortitude to get a sketch in the cold! Thank you Rozanne and Katherine. It is really a special place and just what I needed…. something to blow the cobwebs away! A dedicated wonder you are! Make sure to note the paintings that are inspired from this trip. I will Loriann, I have already started something! Wow, what an amazing color palette in that photo, green with orange…who would've thought what a beautiful combination that would make! Jala, I agree. It just glowed!